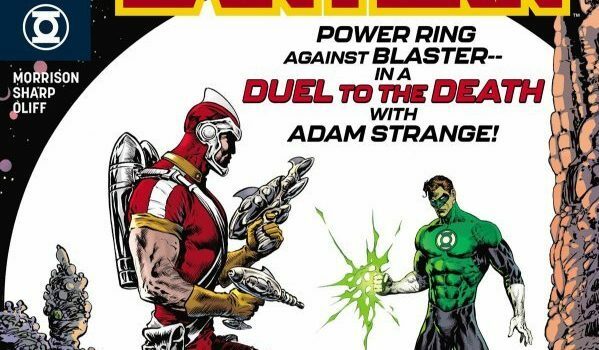 Summary: To infiltrate the Darkstars, Hal Jordan must duel Adam Strange! Love him or hate him, Grant Morrison has made his mark in the industry as a comic book legend. As a huge Green Lantern fan, I can say I absolutely loved the idea of Morrison taking over after Venditti, on Green Lantern. His plan was to make space police stories with Hal and the Green Lantern Corp, and I must say this was a step in the right direction. 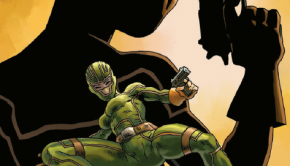 Not that there was anything, in my opinion, wrong with Robert Venditti’s work, but this was a smart move. 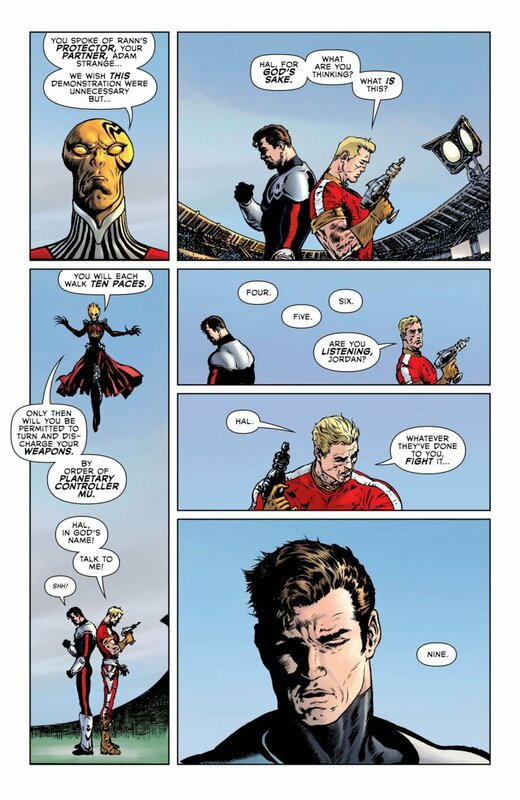 In my opinion, in today’s comics, not many writers have the guile and control to bring a story to life like this. Now it’s not to say I haven’t had to read each issue a couple of times to truly grasp what is going on, but honestly I enjoy that. I feel sometimes I’m one and done with reading some comics. I love that this series has me reading and rereading these issues. So let’s take a look at Morrison’s 6th issue of this brilliantly written series. If you haven’t been reading the Green Lantern up to this point, I would highly suggest stop what you are doing and get the 5 previous issues because this issue will make no sense to you. This issue picks up where 5 left off, where Hal Jordan has been tasked by the Guardians to infiltrate the Darkstars ran by Controller Mu. 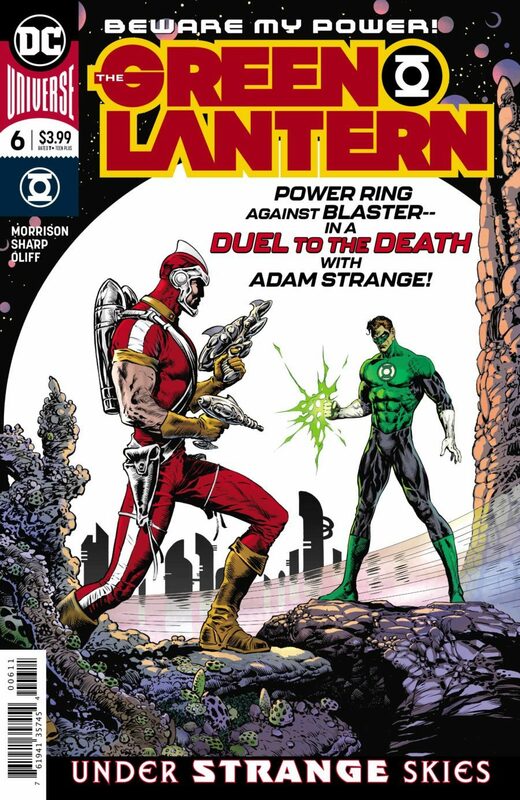 The journey up to this point has been absolutely brilliant because now Hal has to show his loyalty to the Darkstars by dueling Adam Strange. I will not give many more details about the plot from this point due to spoilers that are best felt in the moment. Morrison is knocking it out of the park with this series and makes me really enjoy each issue when we get them. In an industry with some lackluster stories, the Green Lantern really brings it. 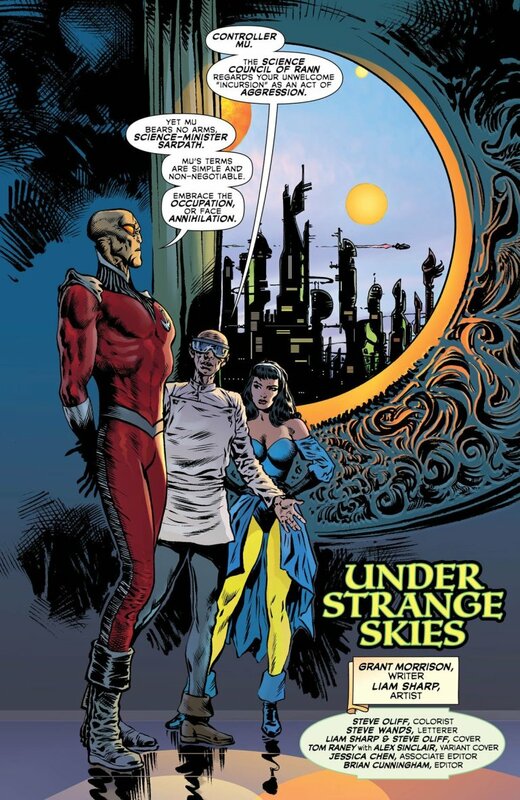 Now I’ll be the first to admit I wasn’t actually sold on Liam Sharp’s art when the first issue came out, but I can now say that it has really grown on me. There is something about this art that just works so well with Morrison’s story. It is wild, colorful and straight up out of this world; that, to me, now just screams the Green Lantern universe. 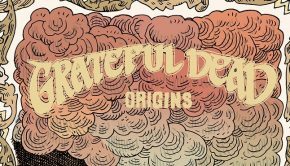 There is also something about this artwork that reminds me of the earlier days of comics that have been revamped for this new generation. I love it. If you are a Green Lantern fan or a fan of Morrison, this is a fantastic issue and I highly suggest you pick up this series. 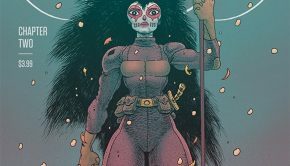 It’s a must have for anyone’s pull list that loves the wild sci-fi stories. 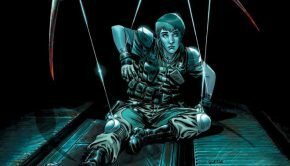 So for me this issue get 4.5 stars out of 5 and I look forward to this series with Grant Morrison at the helm.